Myntra acquires Fitiquette to solve dress fitting issues of Online Shoppers! Myntra seems to have taken inorganic route to spruce up their backend as well as frontend capabilities. Fitiquette marks Myntra’s Second International Acquisition in less than Four Months. They had earlier acquired Sher Singh, a designer apparel and accessory store, along with its New York based parent company Exclusively.in, in November of last year. 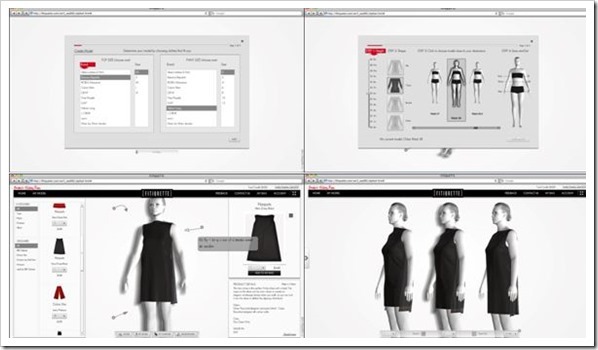 San Francisco based Fitiquette, a virtual fitting room technology company, was founded by ex Cisco employees Andy Pandharikar & Anant Kumar. They have developed a technology that would allow fashion customers to try on outfits in a virtual 3-D world based on the user’s exact body dimensions. Financials attached with Myntra’s acquisition have not been disclosed, except that it was a part cash, part stock deal. It is clear that going forward Myntra’s thrust is going to be on apparel sales and making the process of buying apparels online as seamless as possible. Fitiquette’s acquisition will allow Myntra to bring something very unique to Indian E-Commerce market (in online apparel’s space) and offer a unique experience to Indian online shoppers where they could actually try out a particular piece of clothing online exactly as they do it in a trial room in a physical store. The technology developed by Fitiquette generates a virtual mannequin based on various body types to which users can further adjust each specific measurement according to their body until it closely mirrors their own. One of the biggest worry online apparel shoppers in India have are improper fits – and Fitiquette’s acquisition by Myntra will definitely help wade off those worries. Myntra has raised USD 39 million funding till date with first round (USD 5 Million) coming in 2008, second round (USD 14 Million) in 2010and third round (USD 20 Million) in 2012. 7 Entrepreneurship Lessons I Learned from my Kirana Store Owner! It’s Final! Snapdeal Has Rejected Flipkart’s Offer; Will Fight Alone!